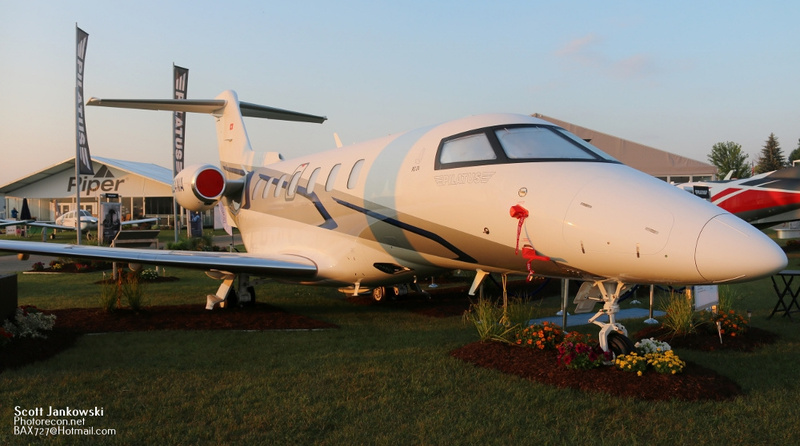 As we wrap up our coverage of AirVenture 2018, we will take a look at all the other unique varieties of aircraft that can only be found at Oshkosh. 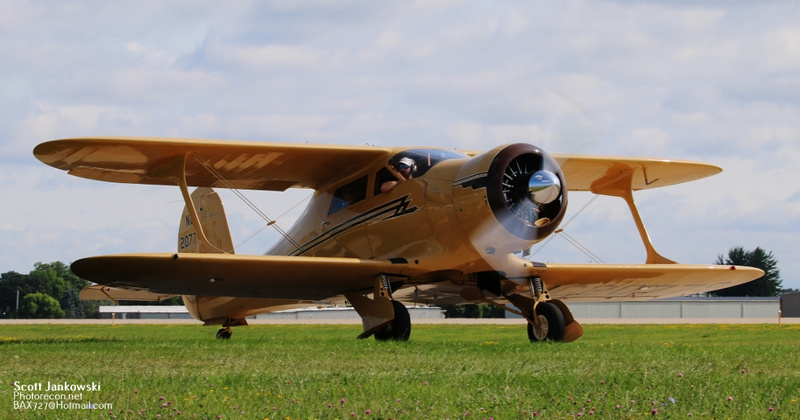 It could be a Commercial Airliner, Homebuilt, Vintage, Helicopter, or Aerobatic aircraft, AirVenture has it all. 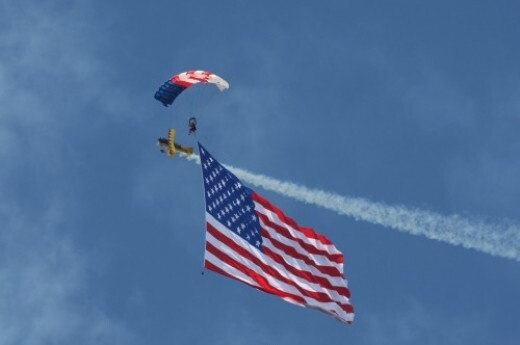 There is no other airshow that can manage to pull together this amazing mix of aircraft. 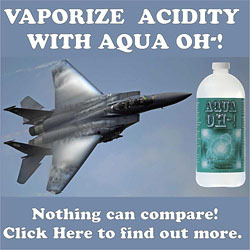 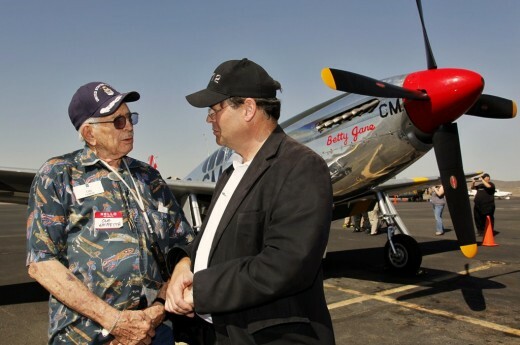 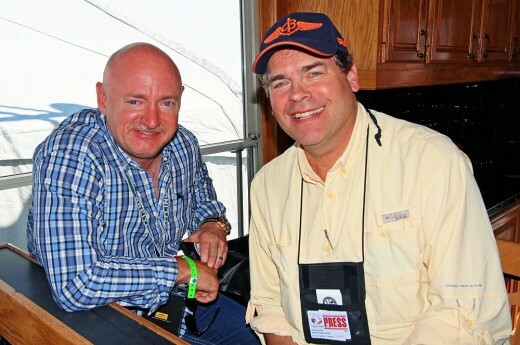 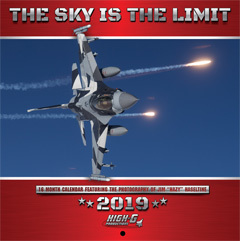 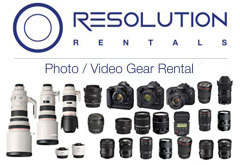 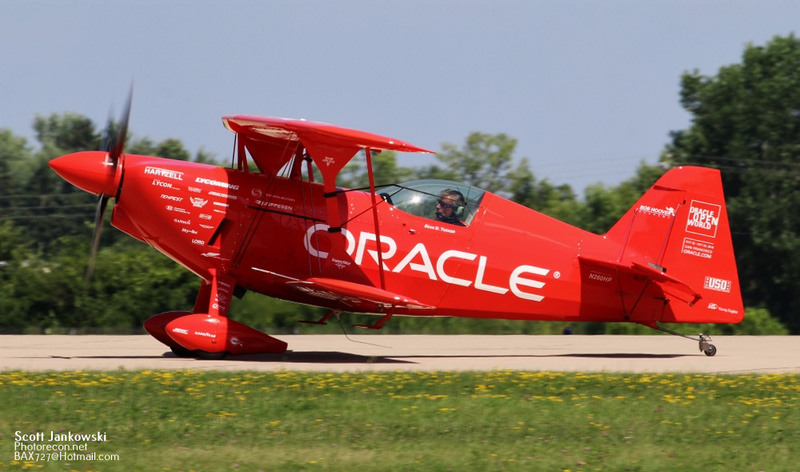 Some of the greatest airshow performers in the world descend upon AirVenture every year. 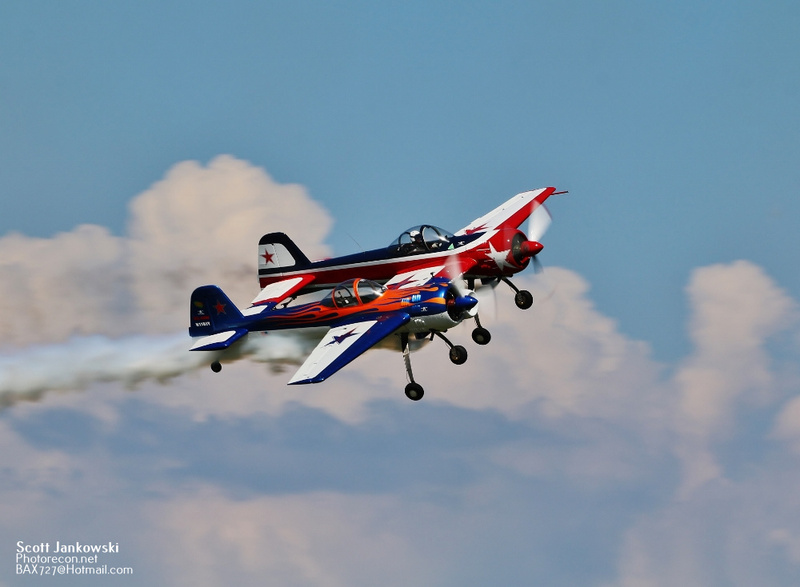 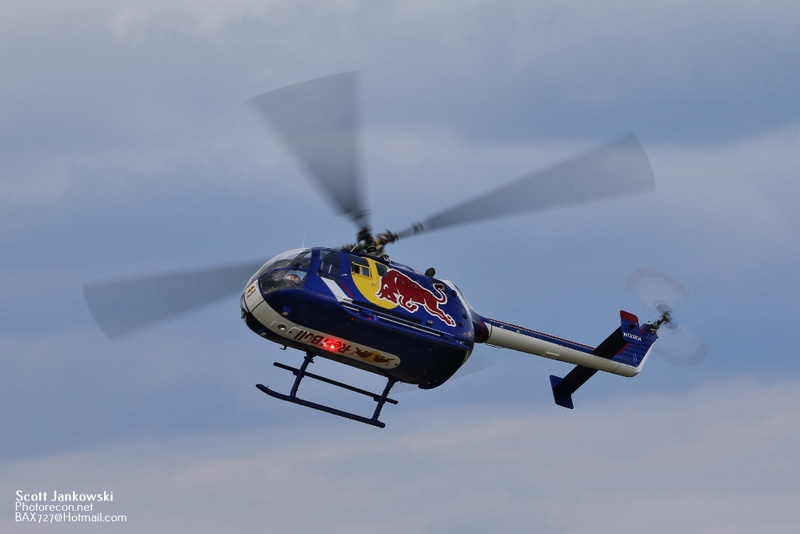 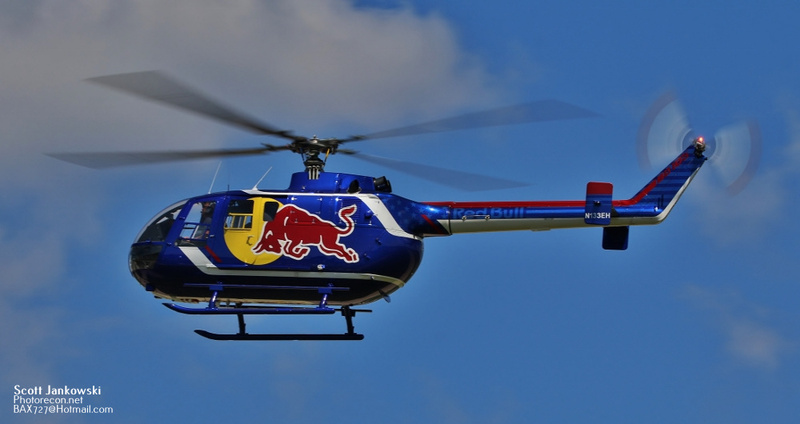 This years top performers included Sean D. Tucker, Kyle Franklin, Gene Soucy, and the Red Bull Aerobatic team. 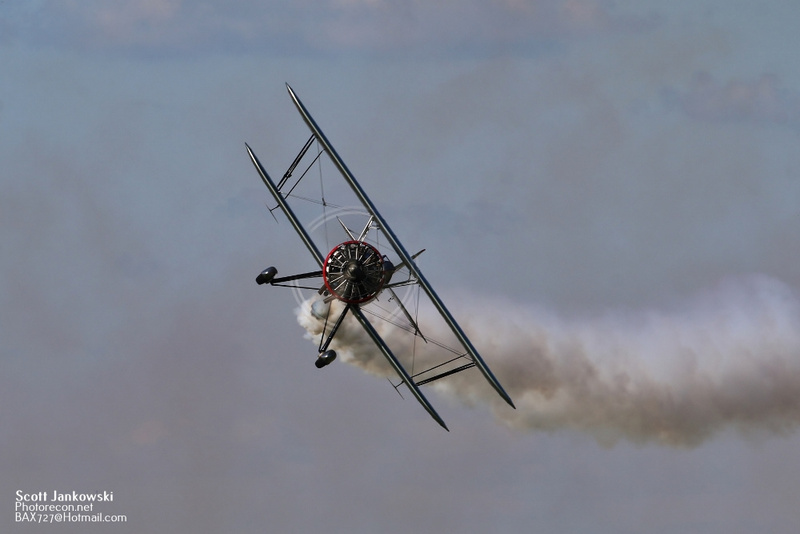 These performers make up a vital and key part of the daily airshow year after year. 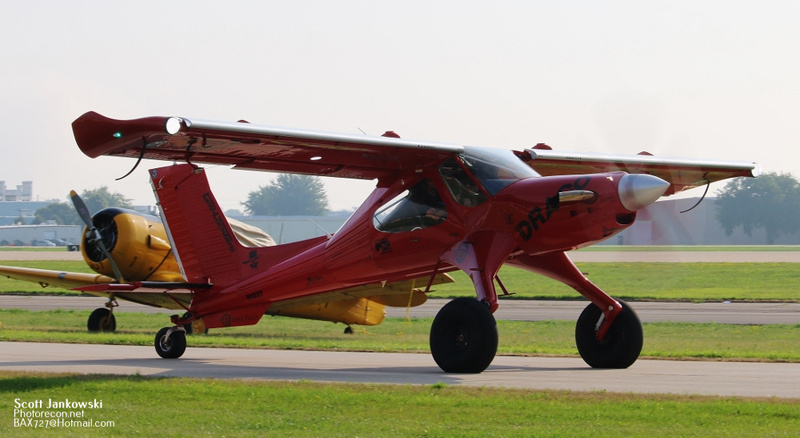 Renowned Airshow Pilot Jeff Boerboon probably had the most unique Aerobatic Aircraft at AirVenture this year. 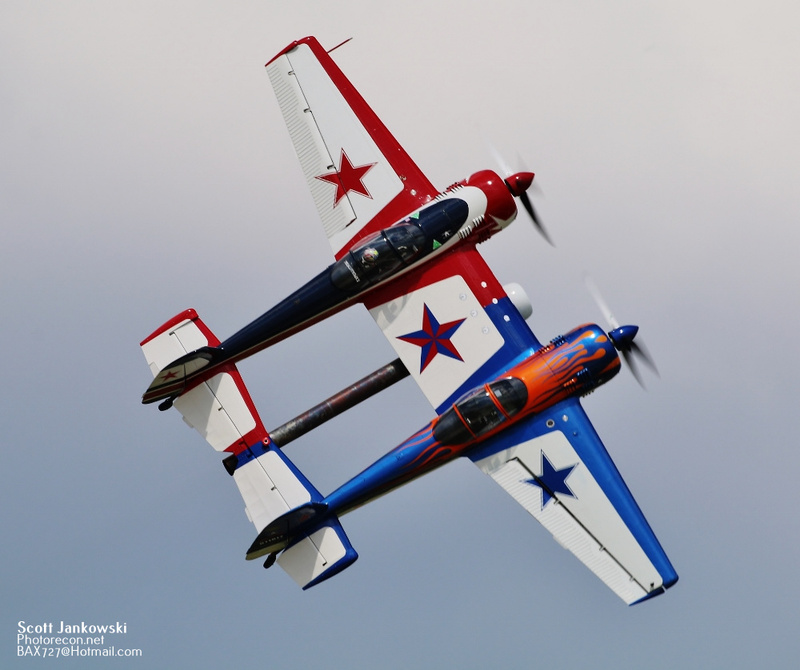 The Yak-110 was originally conceived in 2013, 19 months later it flew in its first airshow. 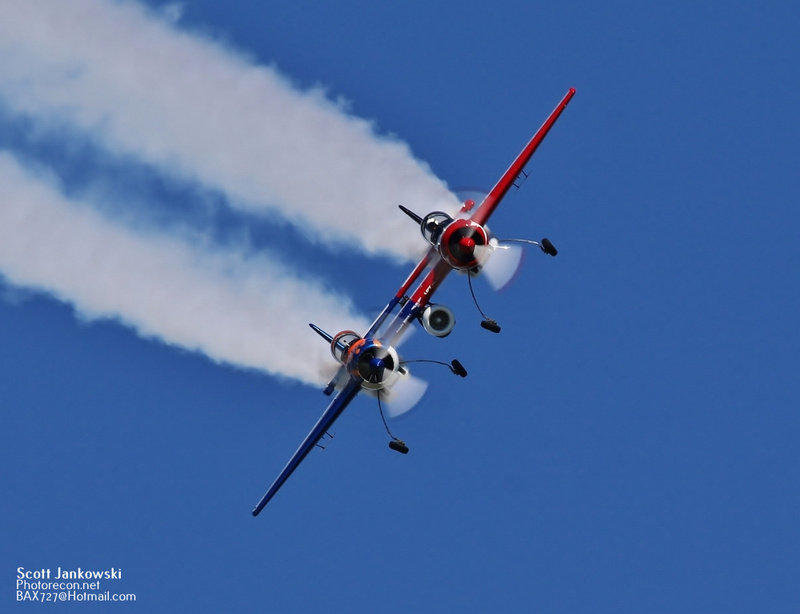 The Yak-110 is a unique fusing of a pair of Yak-55’s sharing a wing with the addition of a J-85 jet engine mounted in between the two fuselages. 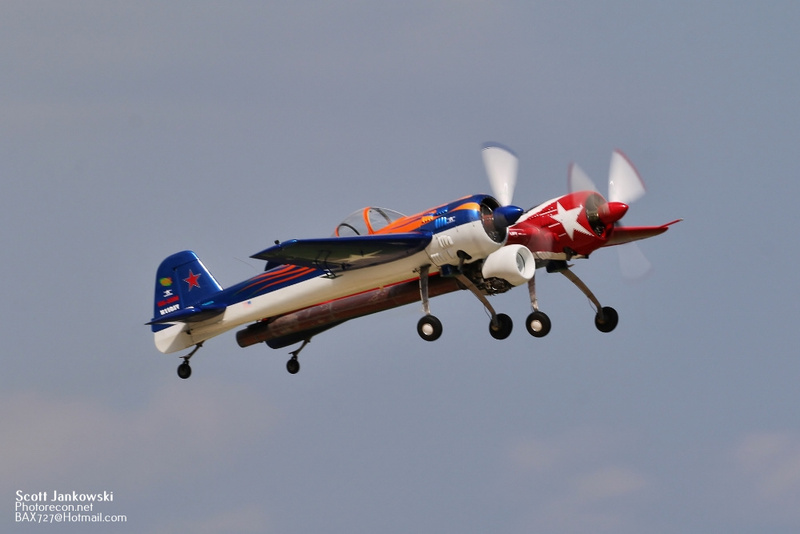 The combination of three engines give the Yak-110 some unique performance characteristics. 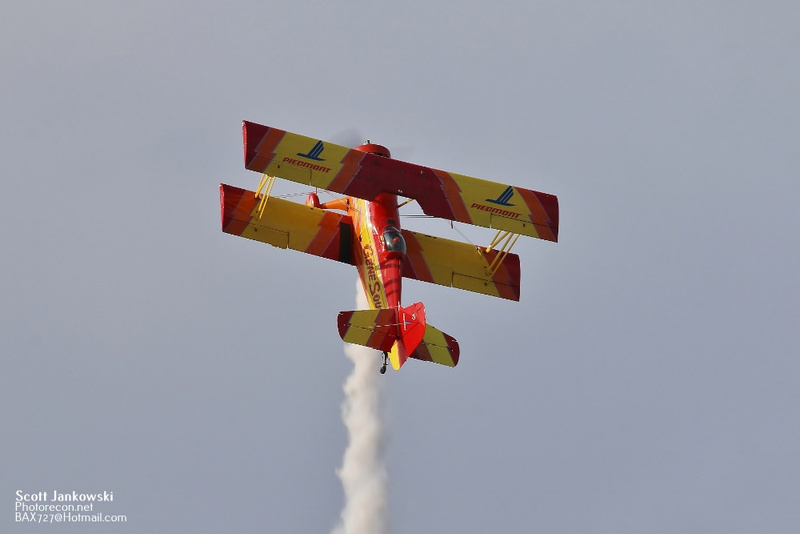 The Yak-110 flew several times during the week long event. 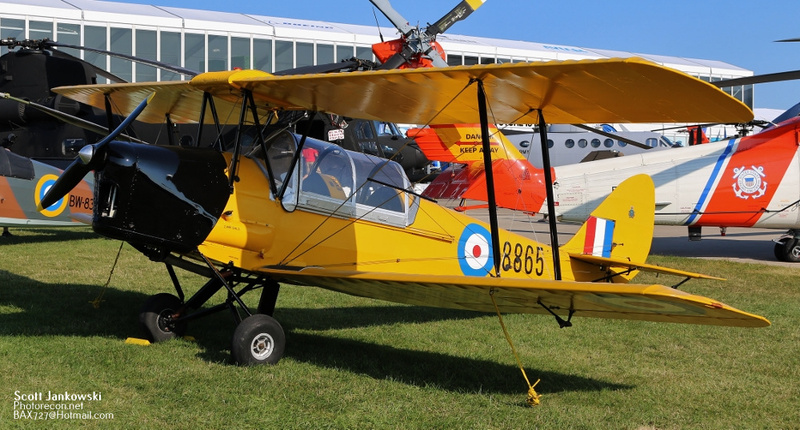 All around AirVenture 2018 you could find vintage aircraft and helicopters. 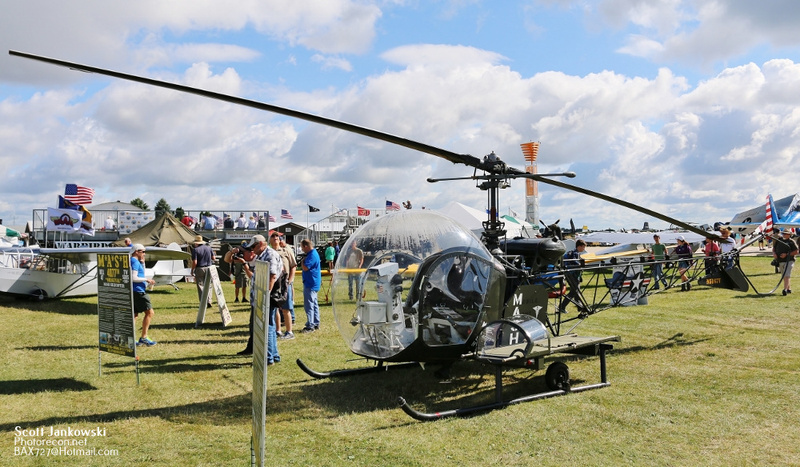 These included N5167V a 1951 built Bell-47D-1 which is the only surviving Bell 47 to be featured on the television show MASH. 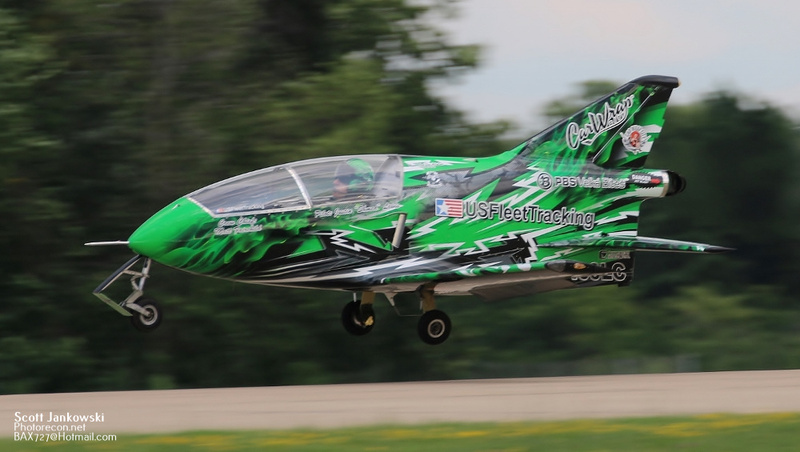 Homebuilts and Experimental Jets were also in abundance as well. 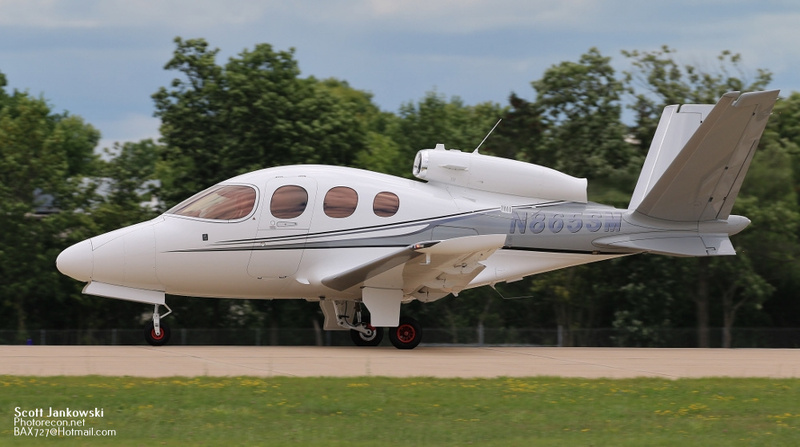 N815EY, a modified Burt Rhutan designed Long-Ez mated with a single GE R58-8F engine gives us a Jet-Ez. 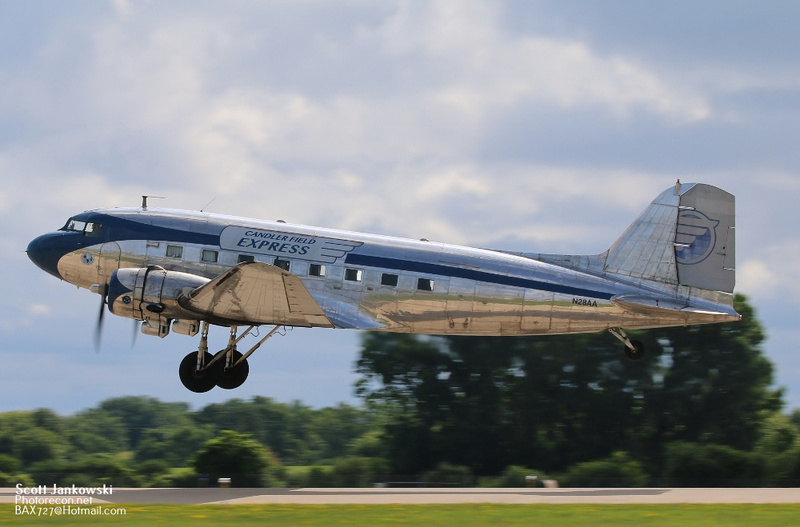 Vintage Commercial Airliners are always seen at AirVenture every year. 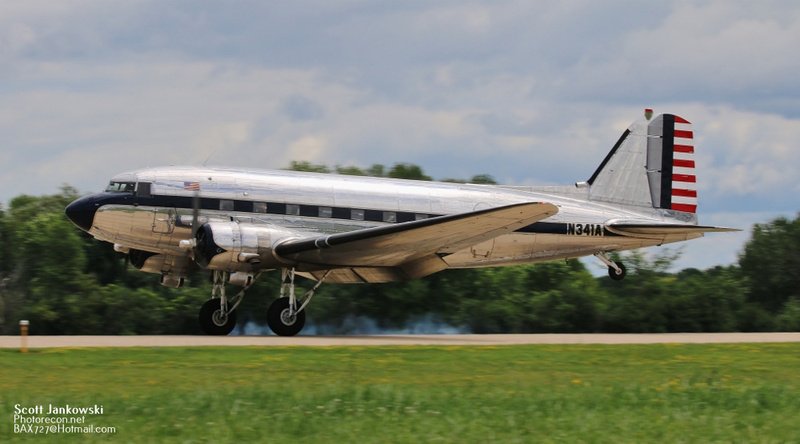 Several different Douglas DC-3’s can be seen including a 1937 manufactured DC-3, NC17334. 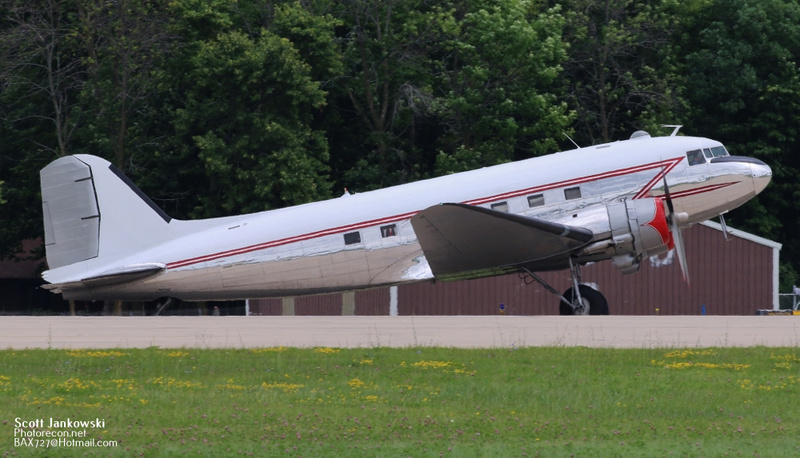 This DC-3 is named Flagship Detroit, and is the second oldest DC-3 still flying. 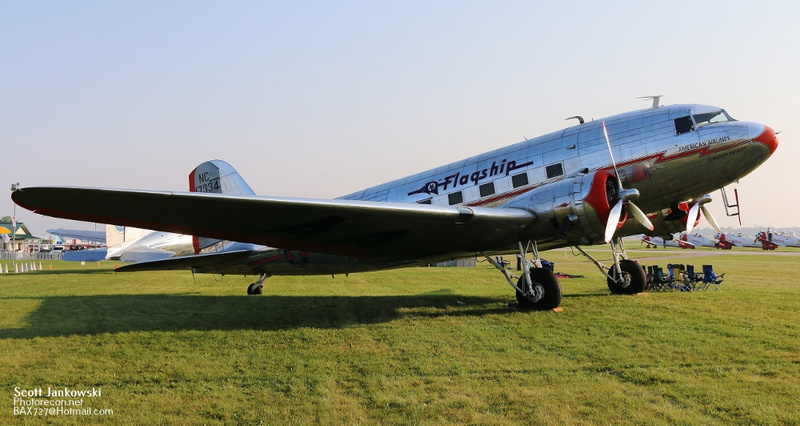 A pair of updated Wright Cyclone engines power this DC-3 which is owned and operated by the Flagship Detroit Foundation. 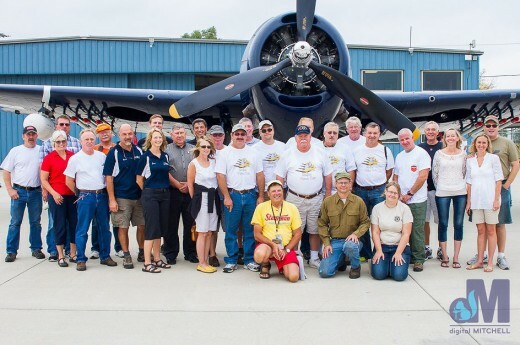 Regular attendees included a pair of Ford Tri-Motors NC8407 and NC9645. 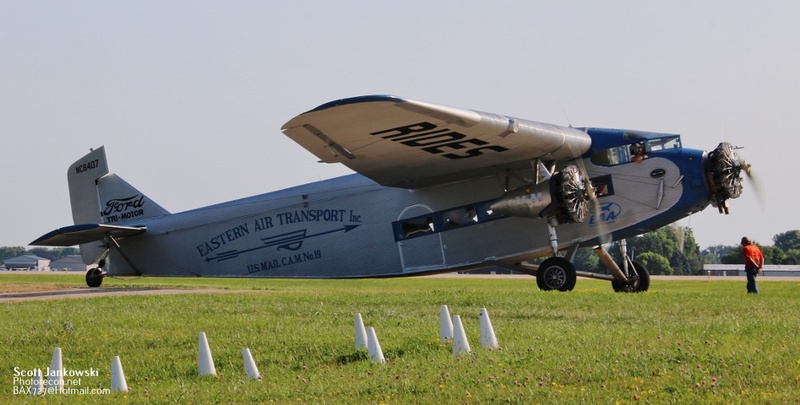 NC8407 is a 1929 built 4-AT-E model originally owned by Eastern Air Transport. 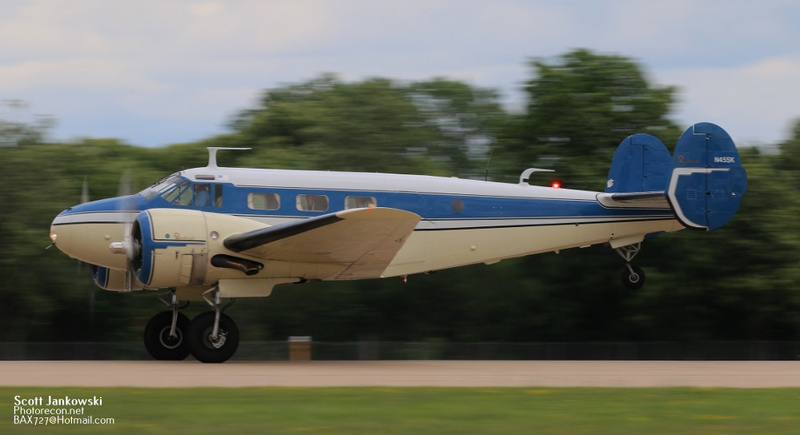 This Tri-Motor is now owned by the EAA (Experimental Aircraft Association) and is based at Oshkosh Wisconsin. 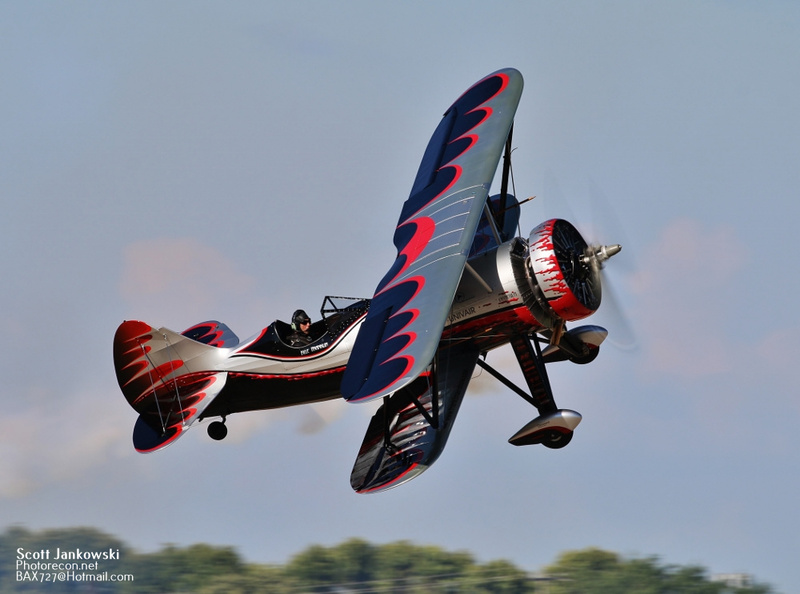 NC9645 is a 1928 built 5-AT-B model and wears the livery of Transcontinental Air Transport INC. 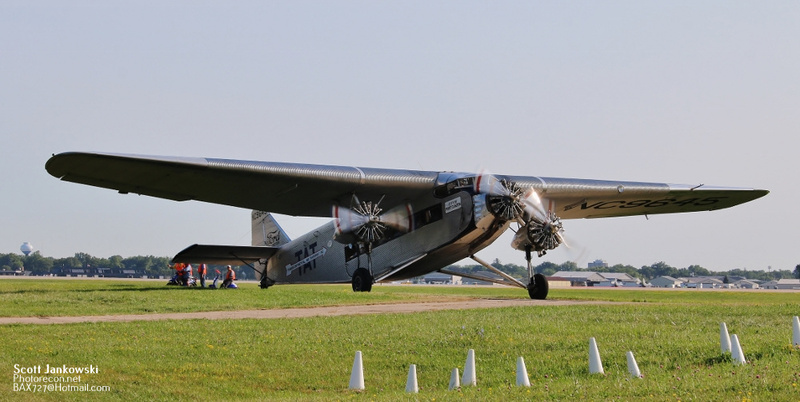 This Tri-Motor is owned by the Liberty Aviation Museum and is based at the Erie Ottawa International Airport Ohio. 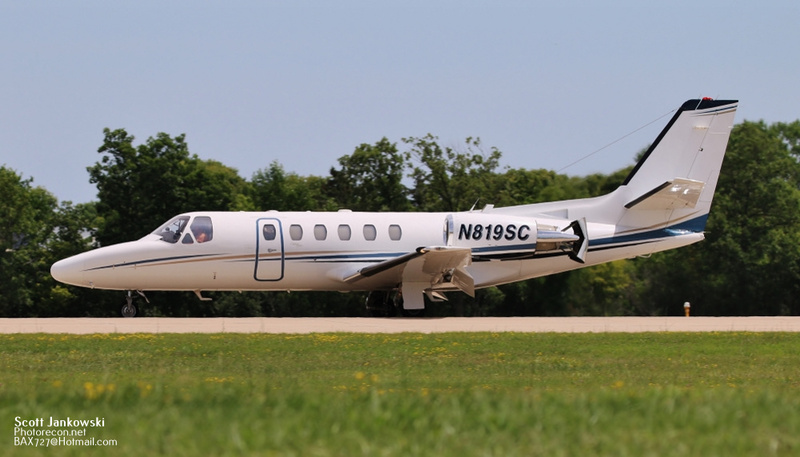 NC8407 can carry 12 passengers and NC9645 can carry 15 passengers with both aircraft flying passengers all day long for the entire week. 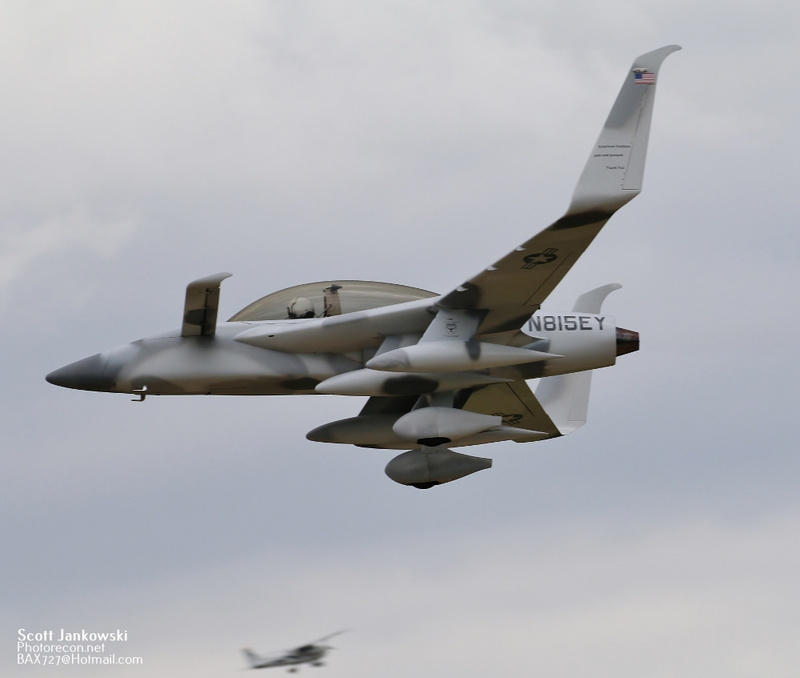 Business Jets and Props were constantly mixed in with all of the AirVenture traffic. 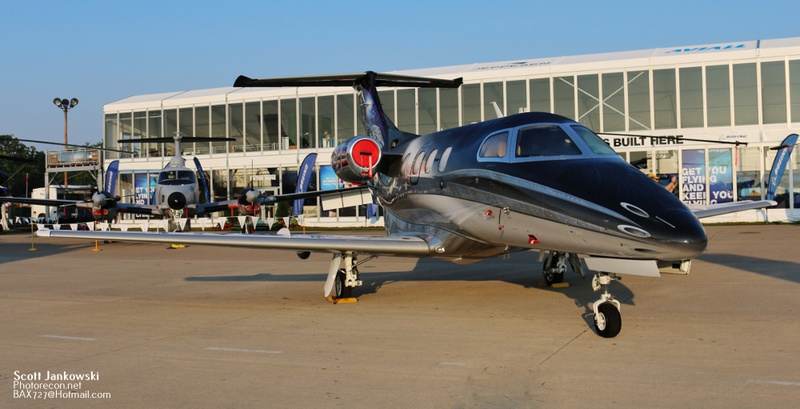 Cessna Citations and Beechcraft King Airs were seen among many others. 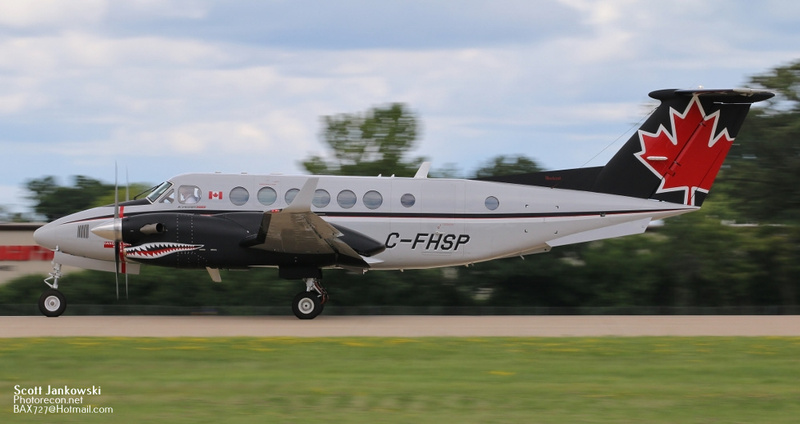 One very notable Beechcraft King Air was C-FHSP, a 2014 built 15 passenger King Air 350ER. 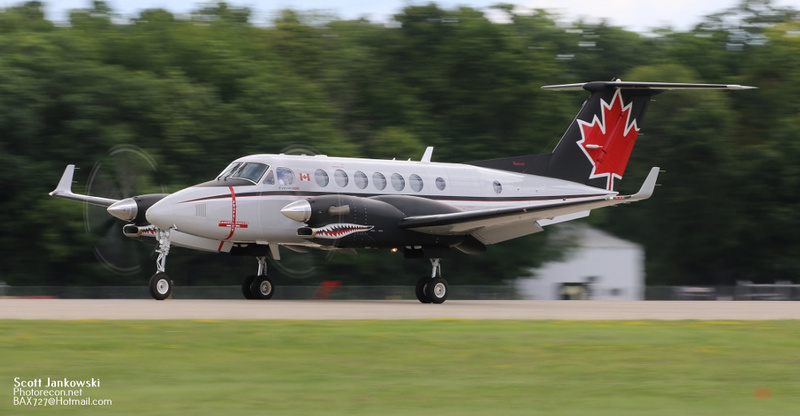 This King Air is operated by Pacific Sky Aviation of Vancouver British Columbia Canada. 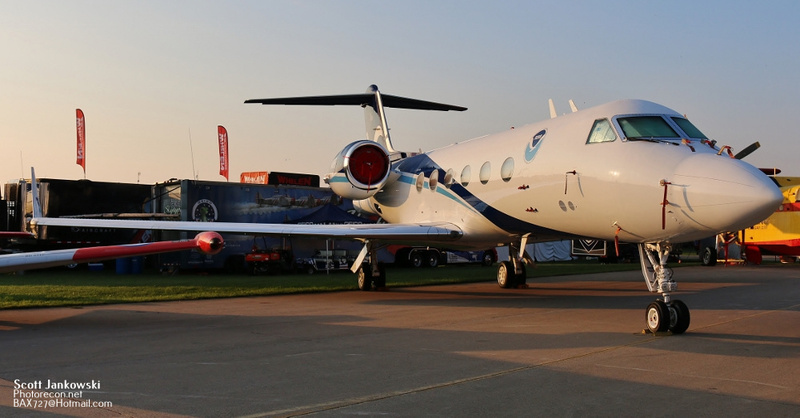 Another very unique aircraft was N49RF, a 1994 built Gulfstream G-IV. 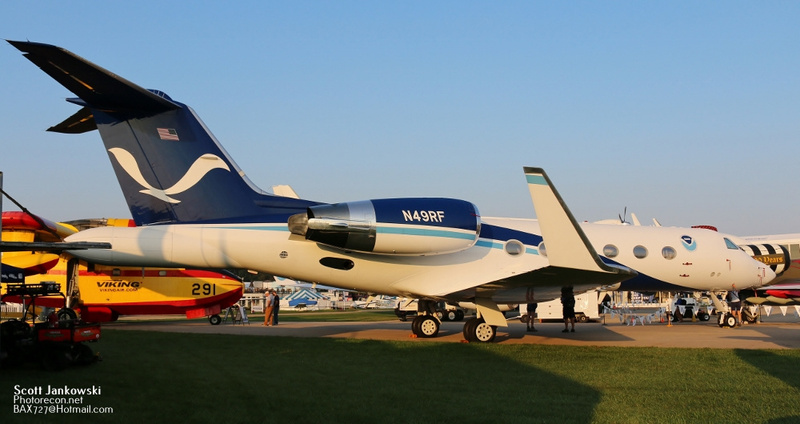 This Gulfstream is flown by NOAA (National Oceanic and Atmospheric Administration) and is based at Lakeland Florida. 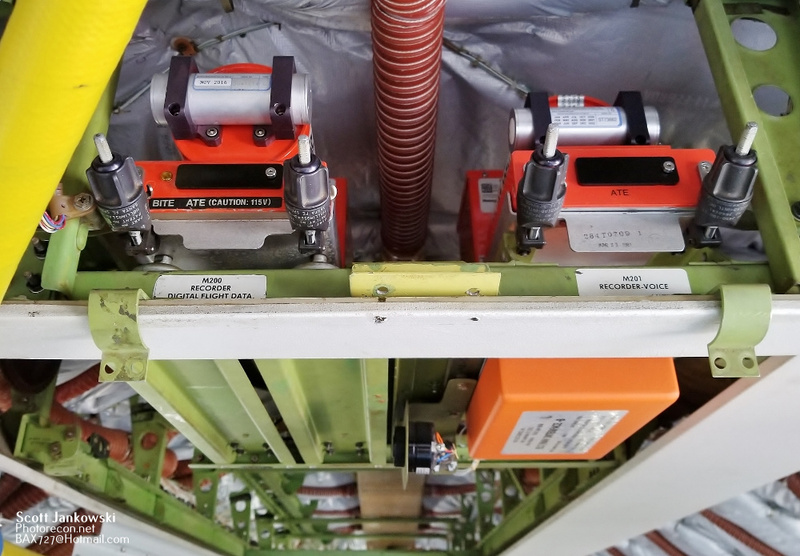 Nicknamed Gonzo, this highly modified aircraft is used as a “Hurricane Hunter” to track and monitor these types of storms. 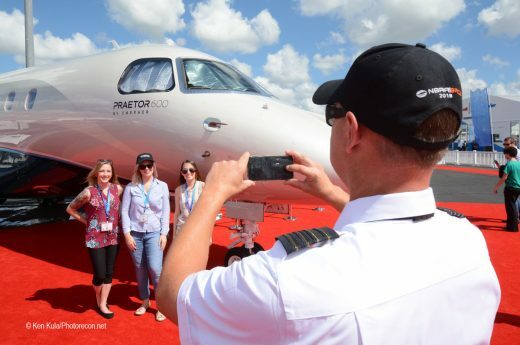 Modern Commercial Airliners came and went at AirVenture 2018, with several notable aircraft. 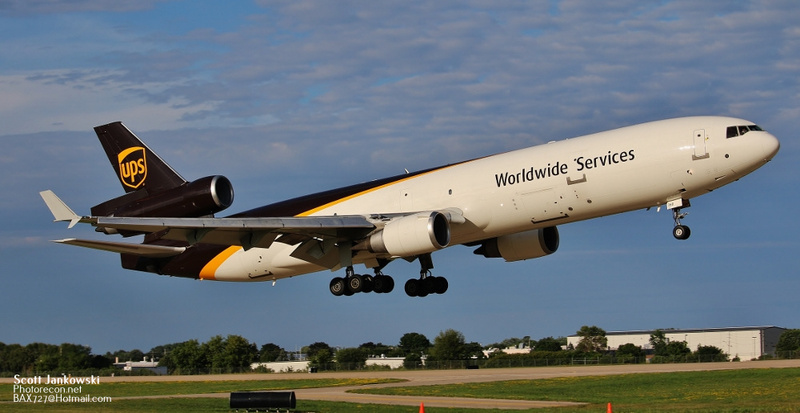 One such was N260US, a United Parcel Service Boeing MD-11F, MSN 48418. 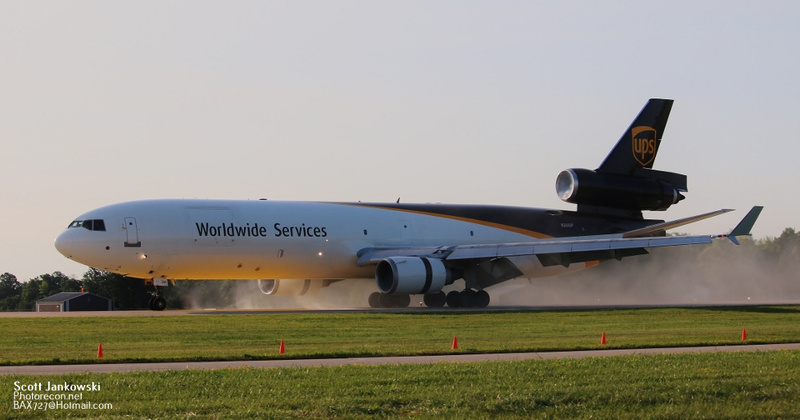 This MD-11F arrived on Wednesday and took part in the celebration of women in aviation. 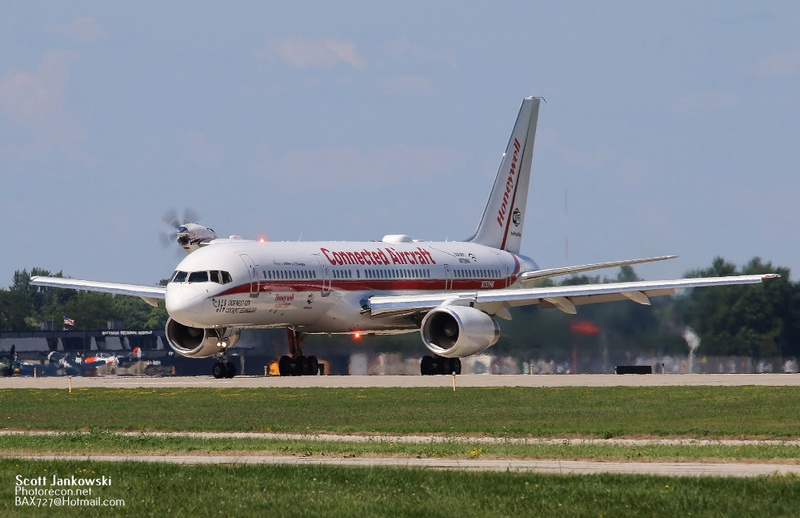 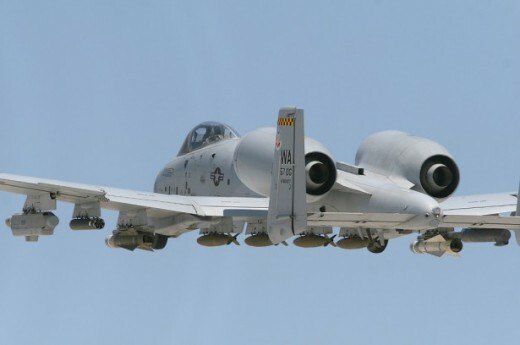 This 26 year old aircraft has a maximum payload of 200,000 pounds, and departed back to Milwaukee’s General Mitchell International Airport to close the airshow this day. 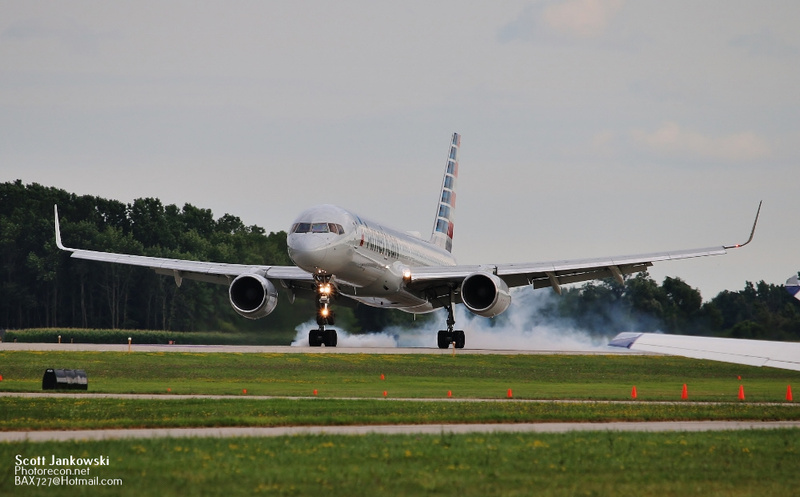 Once again this year American Airlines provided the aircraft that transported local veterans to Washington D.C. to visit their memorials. 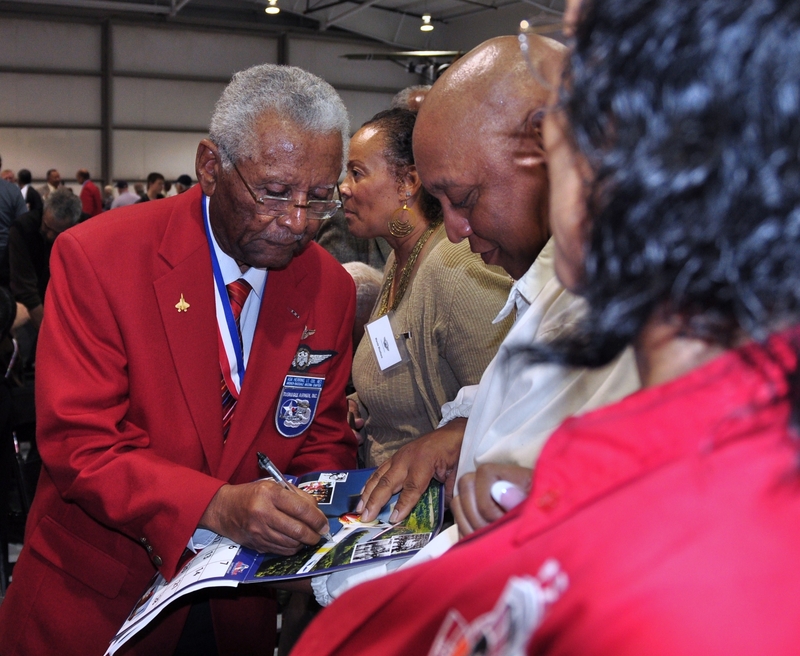 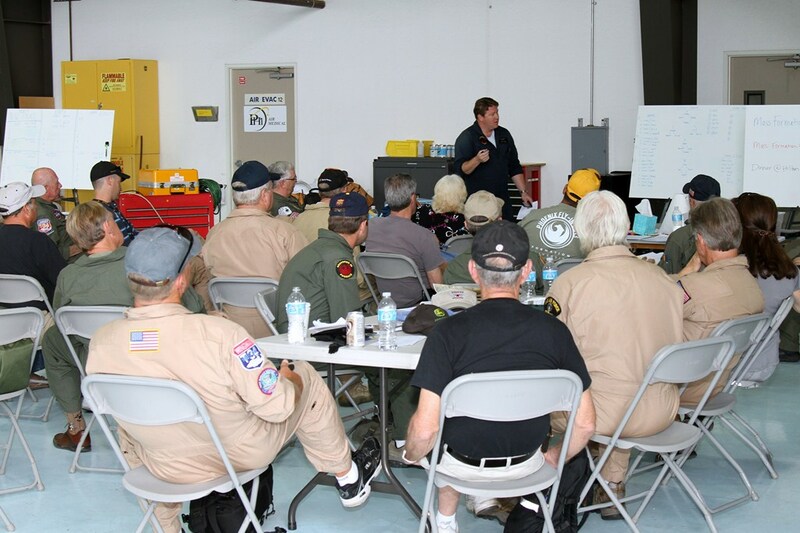 The Old Glory Honor Flight coordinate these flights and has flown over 3,500 Veterans since its creation in 2009. 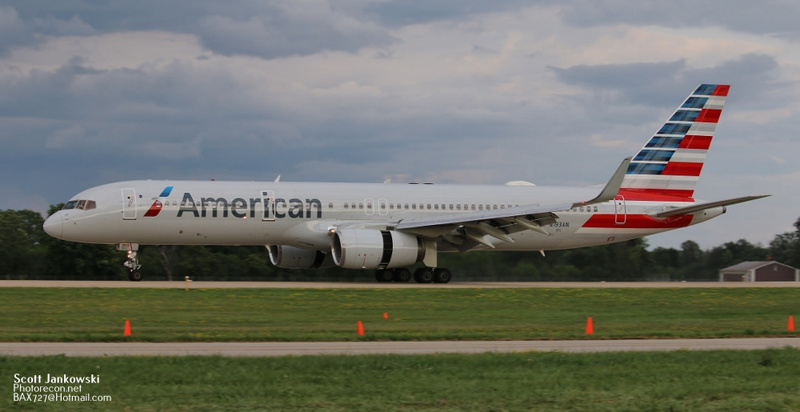 N193AN, a 17 year old Boeing 757-223 had the honor of carrying a full load of 178 Veterans to and from Washington D.C.. Republic Airlines, wearing American Eagle colors, brought Embraer E170-200LR to Oshkosh this year. 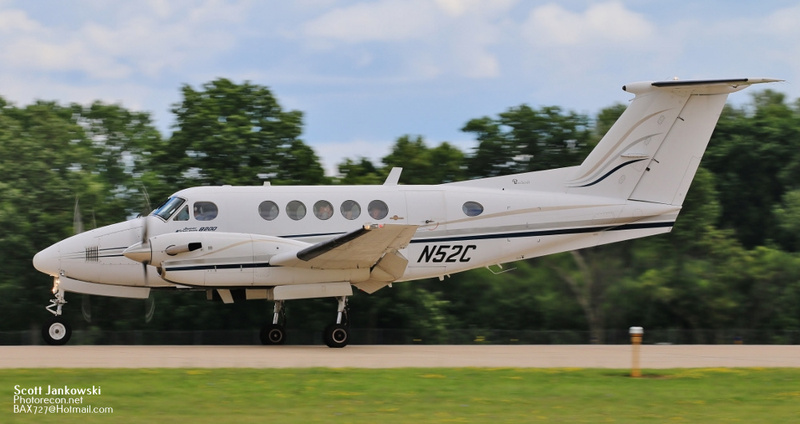 Five year old N409YX, MSN 372 brought a full load of 88 teachers to Oshkosh from Indianapolis Indiana for the day on Friday. 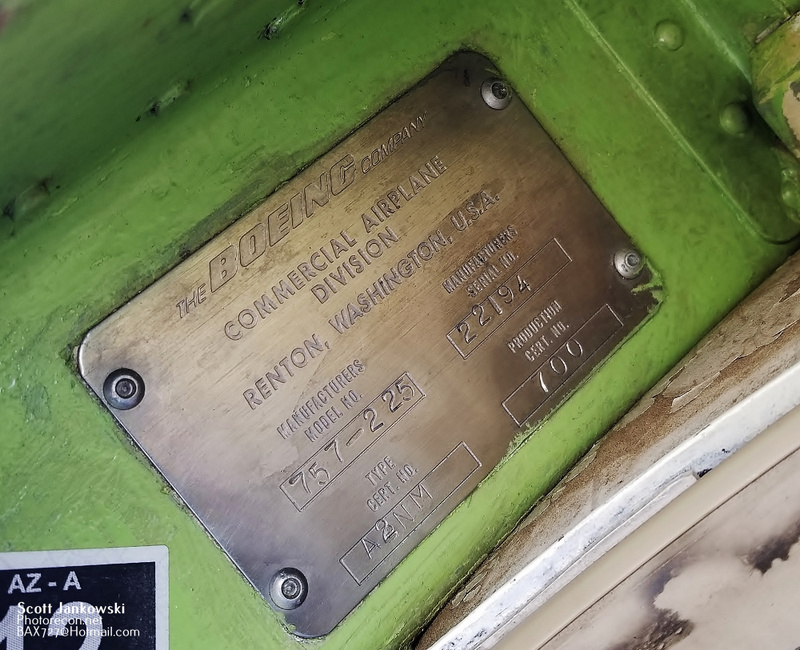 Not a passenger carrying aircraft, but just as important was 1985 built Canadair CL-215V operated by Viking Air Limited of Canada. 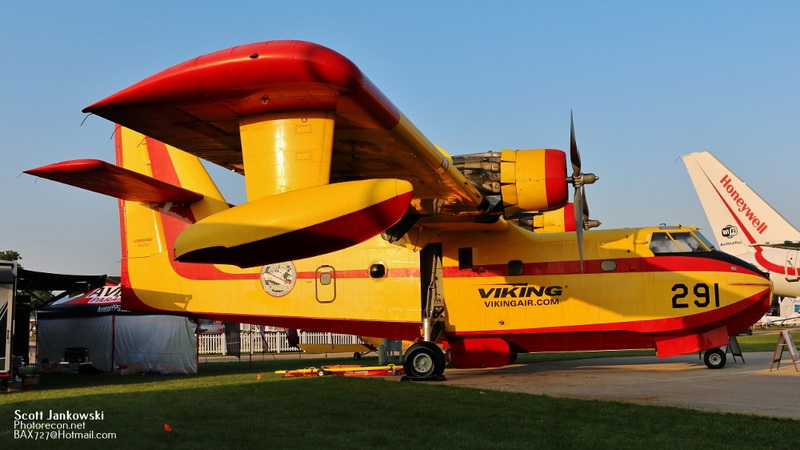 165 CL-215’s are in service as a Firefighting Flying Boat in 11 countries around the world. 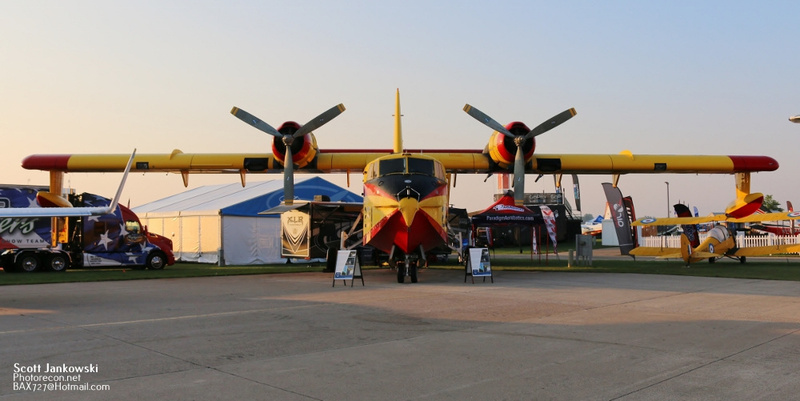 The CL-215 series can carry up 1,300 gallons of water or fire retardant and is operated primarily in Canada. 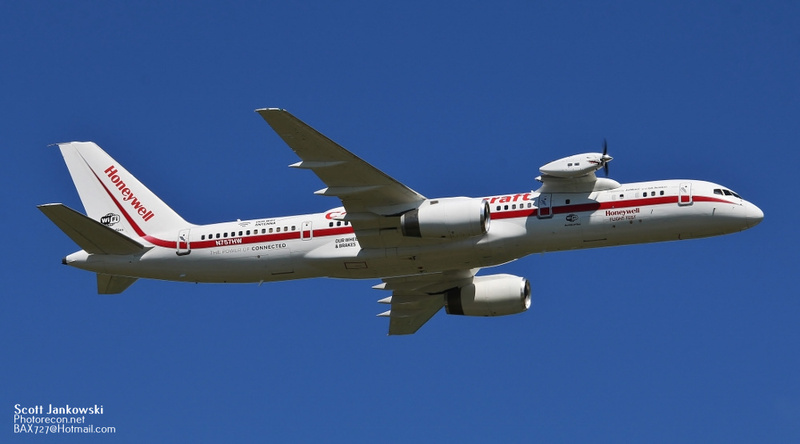 In my opinion the most unique aircraft this year was N757HW, a 36 year old Boeing 757-225 flown by Honeywell Aerospace. 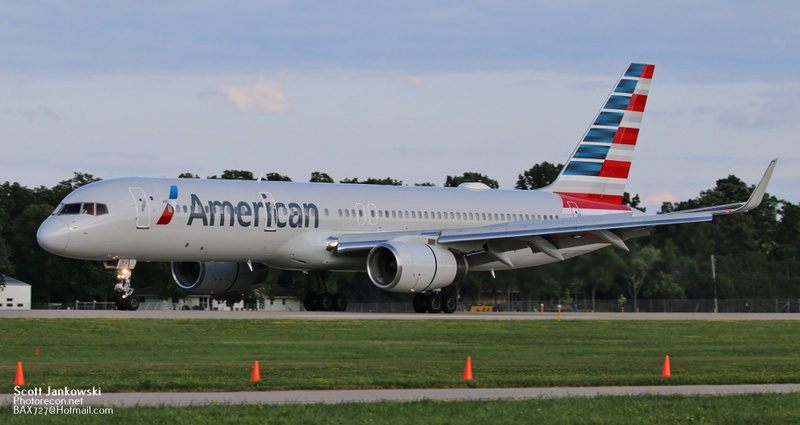 This highly modified 757 MSN 22194 was originally delivered to Eastern Airlines in 1983. 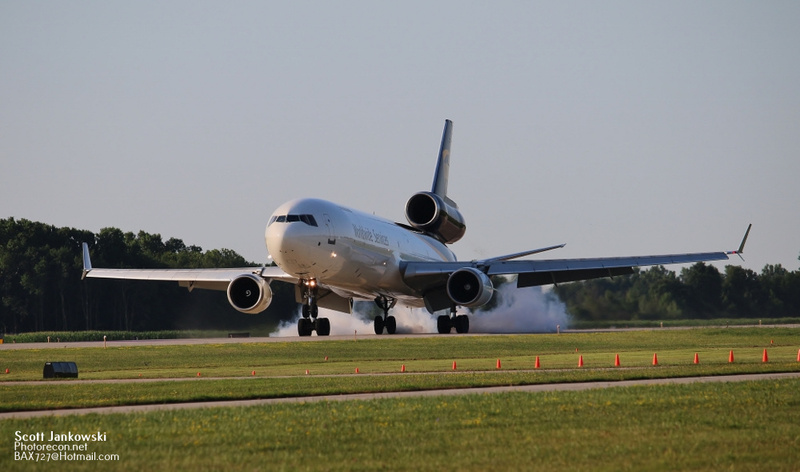 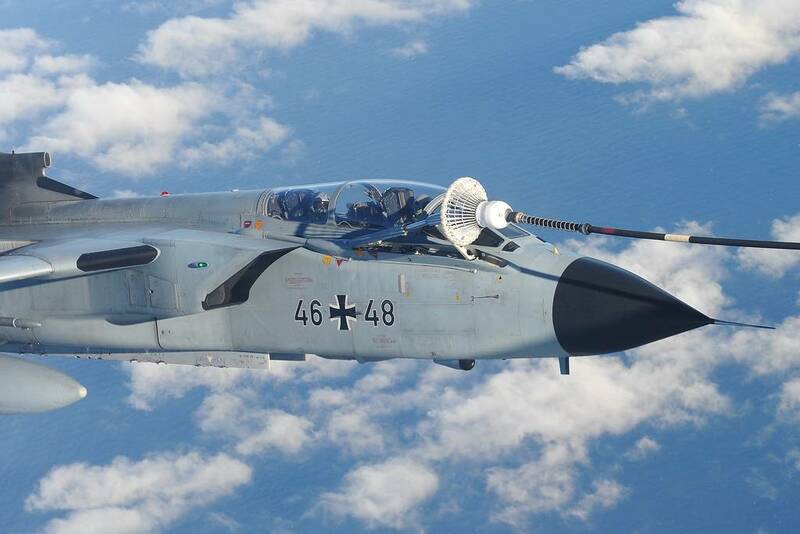 This aircraft operates as a test-bed for new engines, it has a pylon on the right side of the fuselage to accommodate whatever engine needs to be tested. 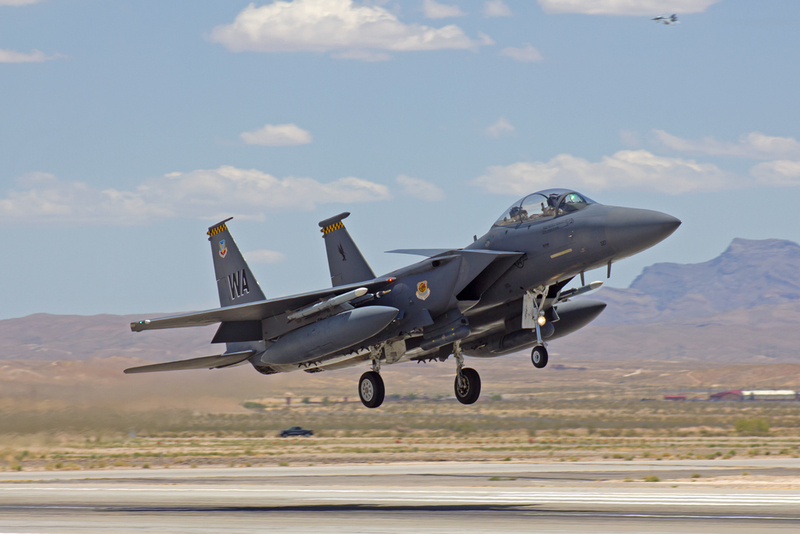 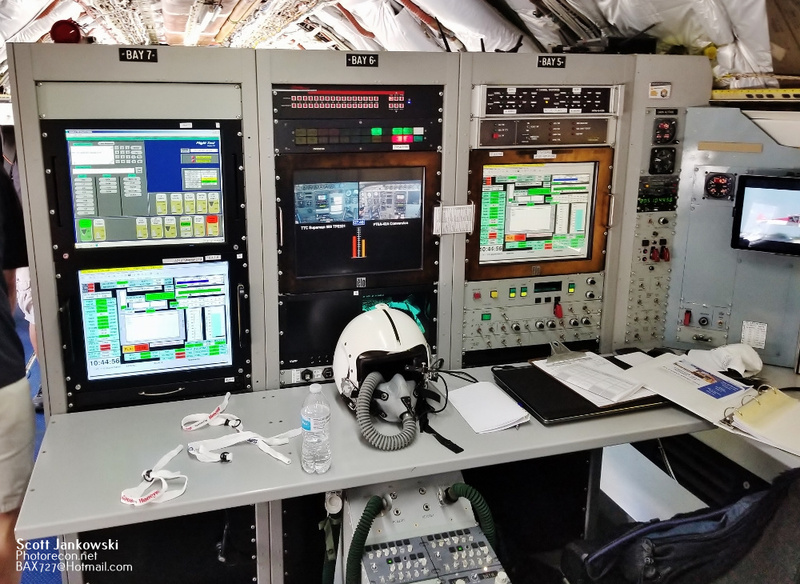 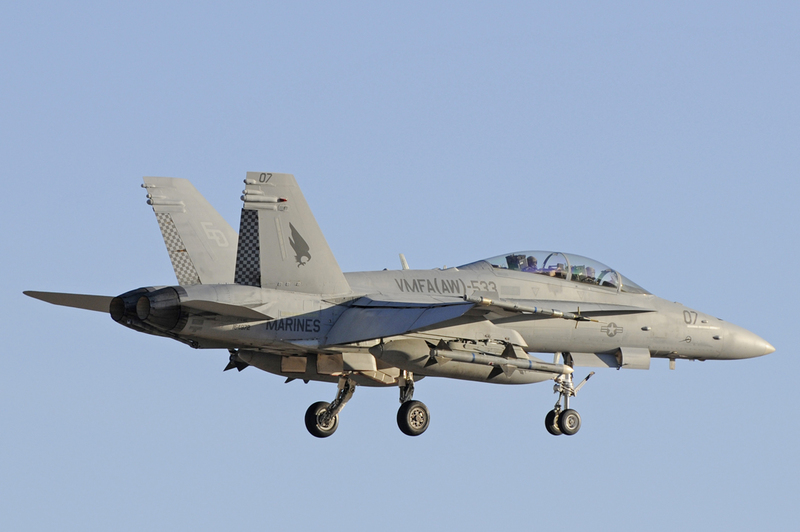 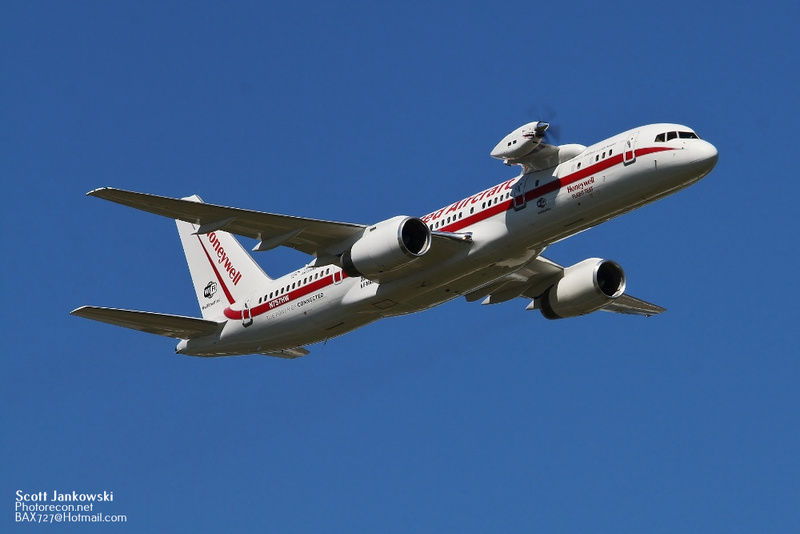 Honeywell registered the aircraft in 2005 and flew it’s first test mission in late in 2008. 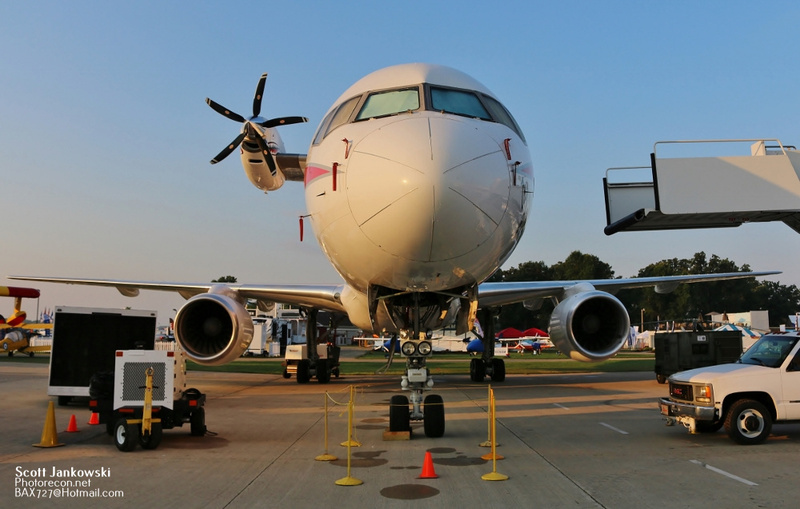 N757HW’s visit to AirVenture featured a TPE-331-14 Turboprop engine mounted to the test pylon making this the only “three” engine 757 in existence. 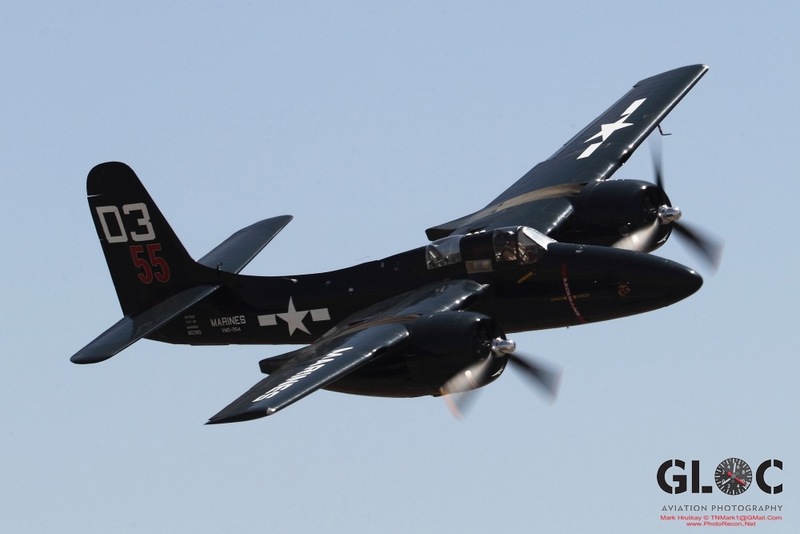 This aircraft is based at Phoenix Sky Harbor International Airport and made its first visit, and hopefully not last to AirVenture.